On November 1, 2012, the annual CUTR Transportation Achievement Award event recognized José Abreu, P.E., Director of the Miami-Dade Aviation Department and former Secretary of the Florida Department of Transportation. 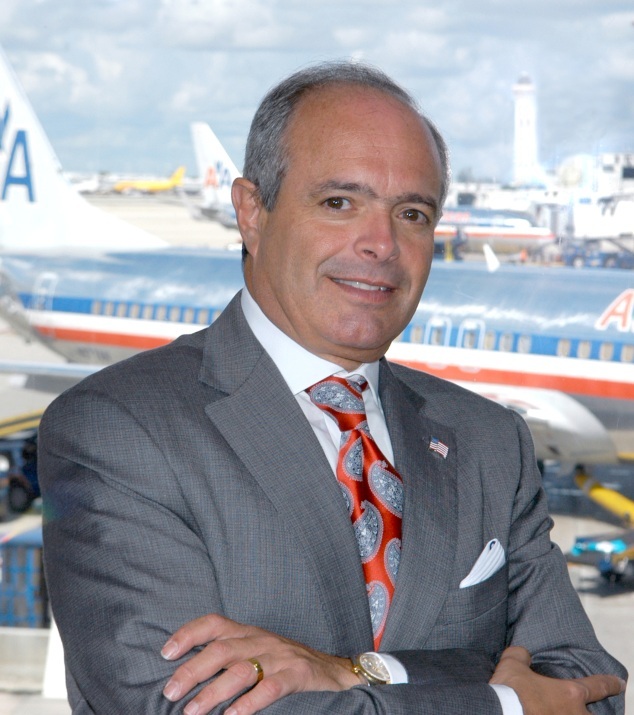 As Director of the Miami-Dade Aviation Department, Abreu directs the operations at Miami International Airport (MIA) and four general aviation airports in the Miami area. MIA handles more than 38 million passengers and 2 million tons of cargo annually and is among the nation’s busiest international passenger and cargo airports. He also oversees one of the largest airport expansion programs in the US, a $6.4 billion capital improvement program that is adding new terminals, roadways, and other infrastructure to MIA and the County’s general aviation airports. Prior to his July 2005 appointment as Aviation Director, Abreu served for 2.5 years as Secretary of the Florida Department of Transportation under Governor Jeb Bush. In this role, he oversaw the operation of FDOT including seven districts and Florida’s Turnpike Enterprise, encompassing the entire state, 7,500 employees, and an annual budget of $9 billion. Previously, he served 18 years in progressively senior positions at FDOT, including 8 years as District 6 Secretary for Miami-Dade and Monroe counties. Abreu holds a bachelor’s degree in civil engineering from the University of Miami and is a licensed Professional Engineer and Certified Engineering Contractor. He serves on many boards, including the Association of Cuban-American Civil Engineers, the United Way Executive Board, and the University of Miami School of Engineering Industrialist Board. In March 2008, he was appointed by the US Secretary of Commerce to serve on the Travel and Tourism Advisory Board, and he is a Fellow of the American Society of Civil Engineers. He has received numerous awards throughout his distinguished career, including “Person of the Year” by the Florida Customs Brokers & Forwarders Association, Inc. in 2012; one of Miami’s 75 most influential people in politics, business sports, and arts by Pode magazine and the Bob Graham Architectural Awareness Award from the American Institute of Architects in 2011; the International Achievements Award presented by World Trade Center Miami in 2010; the Wright Brother’s Award from the Greater Miami Aviation Association in 2009; one of the “Top 25 Newsmakers” by Engineering News-Record in 2007; the Civil Government Award by the American Society of Civil Engineers and Outstanding Service to the Profession by the Florida Engineering Society in 2004; one of “100 Most Influential Hispanics” by Hispanic Business in 2003; the 2000 Wilbur S. Smith Award from the National Highway Engineering in 2000; and the Distinguished Alumnus Award from the University of Miami College of Engineering in 1996.